Every WordPress based website or blog has two interfaces. First is called front end which is available to all users who have come to that blog using the specific domain name or URL. 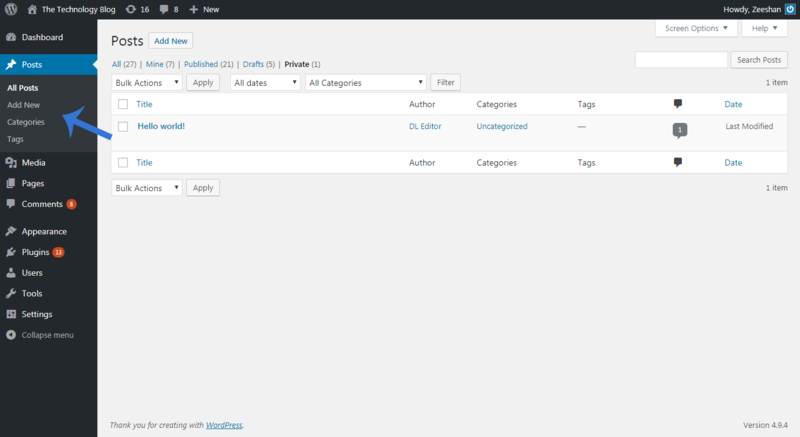 And the other interface or is called WordPress Admin area which is only for the admin of that blog. The admin area is login protected and can be accessed only if you know the login credentials. 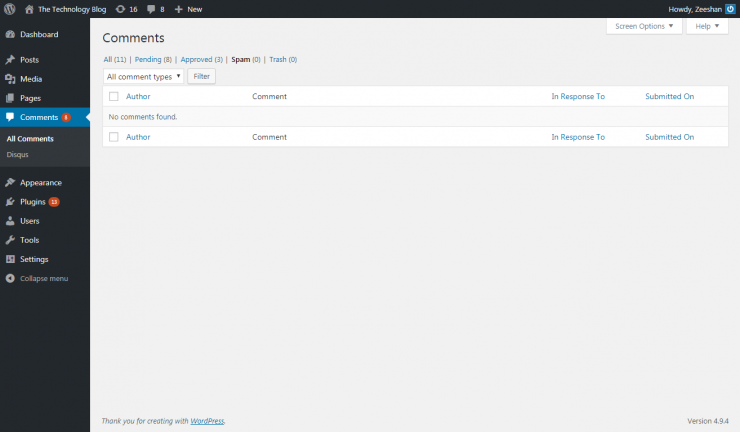 You can access the admin panel of your WordPress based website by adding /wp-admin in the end of your blog URL. So if your URL to the blog is http://www.example.com then the URL of the admin panel will be http://www.example.com/wp-admin. The prominent things on the dashboard are “Top Bar” and “Sidebar Menu Panel” (shown in fig above). The top bar of the admin dashboard has blog name, available updates count, unapproved comments count and menu to add new post, pages and media etc. These are quick stats to let you know how many updates are available and how many comments need to be checked or approved. All of the functionality can be accessed through sidebar panel where you can see, Post Group, Media, Pages, Comments, Appearance, Plugins, Users Group, Tools and Settings Groups. All these menus groups are explained one by one below. Posts are the most important and fundamental part of any blog. Without Posts, a blog is no more any blog but a website. The continuous addition of new posts makes a Blog. In WordPress, Posts groups is the first group placed on left sidebar panel. When you click on “Posts” menu you will see all of its sub-menu such as All Posts, Add New, Categories and Tags. All Posts page will show the list of all posts we added to the blog so far. If the blog is new then the list will be empty obviously. For adding a new post this option will be used. On this page, you will see a form where you will be able to add post title, post content, tags and selecting of a category. Categories are important. They combine posts on the base of certain type or niche. For example on my blog, you can see few categories on top bar and also on right sidebar such as PHP, WordPress jQuery etc. Each category has posts related to that specific category. Its easy for visitors to browse only the posts of a category they are interested in. Tags are very much similar to Categories except they are more SEO friendly. But Tags play an important role in Search Engine Optimization or SEO of the blog. Search engines like Google checks and crawl tags inside a post and when a visitors search a specific keyword in the google, It shows the content where the searched keyword matches the tags of the posts. Media section contains all the media files (images, audio, video, documents) uploaded on the blog for the posts or the pages. You can upload images or videos directly in the Add Post page while creating the new post or you can upload the files in Media section for later use. Posts and Pages are two different things. Posts, with default settings, appear in reverse chronological order, while Pages are non-chronological content. Pages are used for static content such as About Us and Contact types of pages. Normally, Posts in WordPress are sorted into categories and taxonomy marks. The pages do not have categories or tags. 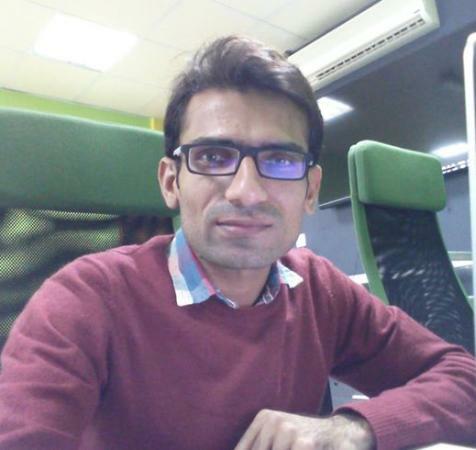 Posts are published on blog and then readers comments on them. It allows users to discuss and ask questions to the blog admin or the other readers. This thing makes a blog more active. By default all comments need to be approved by admin before they get displayed on the front side. But all these settings can be changed and an admin can allow all the comments automatically approved when submitted. In the admin you can read, edit, approve or delete a comment. All the information related to commentator such as their IP address, email address, name and the date on which the comment is made is available there. Appearance is a little bit tricky set of features for the new blogger but once you get an introduction then you will be able to customize or change the appearance of your blog easily. Let’s go through all the sections of the Appearance tab. The first and default page of Appearance section is Themes. So far you already know a blog has two interfaces one is for public or visitors and other is for admin of the blog which we are discussing about. 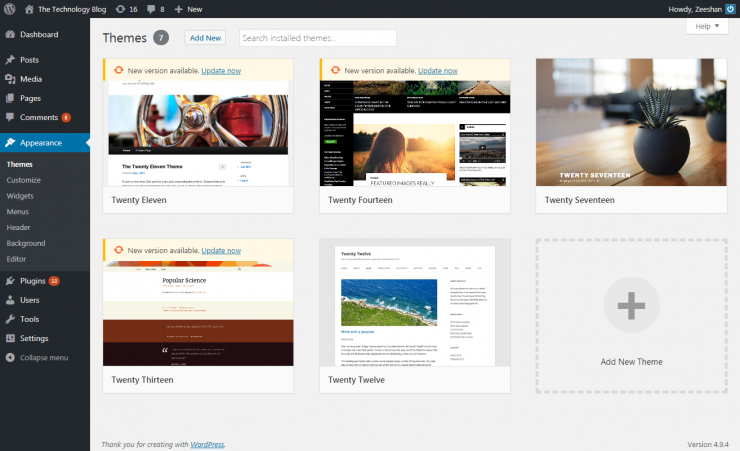 From admin panel in Appearance section, we can see a list of themes uploaded for our blog including currently active theme. From here we can make a theme active or delete a theme or even upload a new theme. 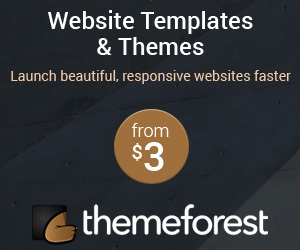 There are millions of free and and paid resources on the web for WordPress including themes and plugins. The Customize page of Appearance section allows you to easily customize your theme and see the result instantly in real time. It lets admin see the changes in real before actually publishing them. In the recent versions, you can also find Device Preview Buttons which allows us to see how the changes you made will look on desktop, tablet or mobile before finally publishing them. 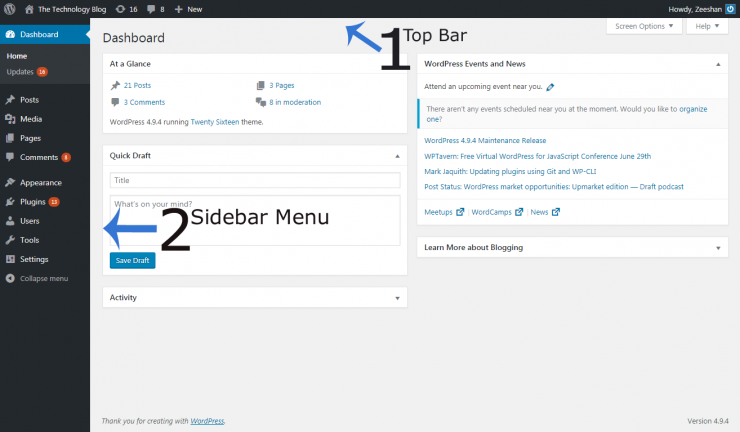 Widgets are an easy drag & drop way of adding information to the sidebar of the blog. For example, on my blog 99Points, you can see we have About Me section, Email Subscribers box, Categories and Related Posts section on the right sidebar. All these have been added here from Widgets section of the admin side. Plugins are magical piece of small software which extends or add new functionality to the WordPress system. WordPress is built in this way that is always flexible to adopt new functionality or do more with the help of plugins without touching the core files. We will write another post about the importance of the plugins and plugins which every blog must have later some day.